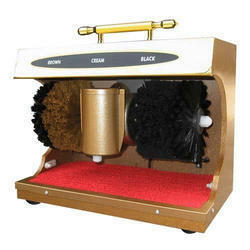 Prominent & Leading Wholesale Distributor from New Delhi, we offer wool duster, aluminum handle, automatic shoe shiner, closed dustpan with broom, combi 35cm cleaning tool and dry mop with handle. Diameter - 23mm. To snap in mop holders. 350mm, 2-in-1 for high windows. Durable holder with water reservoir. Streak-free rubber replacement. Washable microfibre sleeve. Fits to Tele Pole. 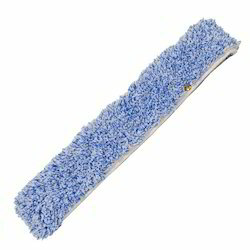 we offer an exceptional range of Blue Dry Mop that are quality assured in nature and have smooth finishing standards. Our entire product range has high strength and promotes easy operations. We deliver them in well-defined time frame thereby catering diverse requirements of the clients across the nation. 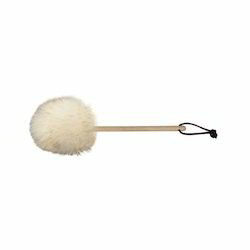 Made from durable yet lightweight aluminium with non-slip twist locks and ergonomic handle for secure grip. The Pole features the ErgoTec° Locking Cone for secure attachment of washer/combi/visa versa just push the release button to remove the tools. • Compatible with any tools featuring ACME thread fitting. • Can be extended and fixed at any stage using twist locks. 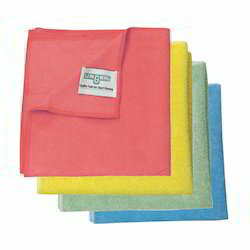 The MicroWipe™ Microfiber Cloth systems are ideal for dusting, polishing, and scrubbing. There are four different grades to choose from to make these wipes ideal for any task. All the MicroWipe™ cloths feature: double-stitched edges to withstand repeated washing cycles and tough cleaning applications. fabric that can absorb over six times its own weight in water and collects fine dust through a static charge when used dry. a color-coded system to reduces cross-contamination, improve performance, and lead to cleaner facilities. The 4000 Heavy Duty series is the strongest grade available. 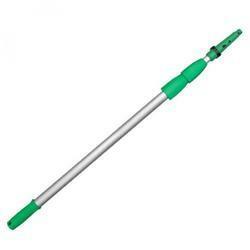 15 mm long fibres, ideal for stone and tile floors with grout lines. 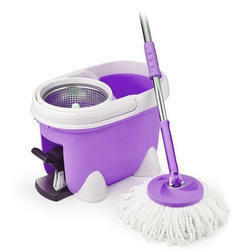 Cut microfibre for improved dirt absorption and streak-free cleaning. Reduces bacterial contaminations by up to 96%. Holds 6 times its own weight in water – manages large areas. 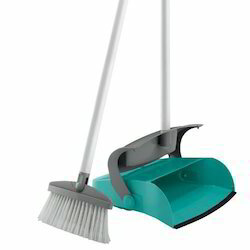 The NiftyNabber® Pro is the all-purpose grabber for universal trash removal (cans, paper, bottles, etc). No bending, no backaches, even out-of-reach items can be easily removed, making the NiftyNabber® the ideal extension to your arm. Use the NiftyNabber® for hygienic waste disposal - no human contact required. The powerful claws grip small and oddly-shaped objects. Inside dimension of the claw is 5". 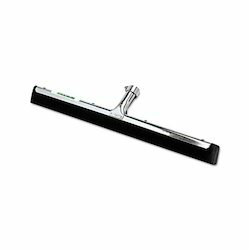 The rubber is the main component of every squeegee because it is the element that comes into direct contact with the glass and dirt. 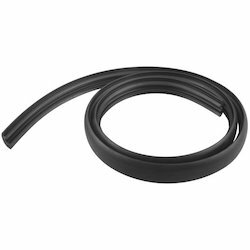 Pulex rubber is real vulcanized natural rubber, which is compression molded, item by item, from a meter-long strip. Pulex meets the needs of all window cleaners worldwide, irrespective of their skills. Our premier line of medium duty scouring pads. 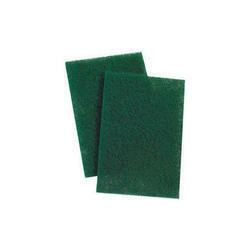 General purpose, non-rusting, resilient, every day scour pads. The standard in the industry. 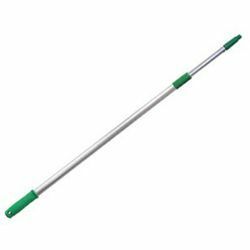 Made from durable yet lightweight aluminium with non-slip twist locks and ergonomic handle for secure grip. 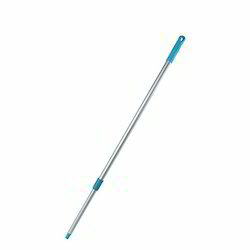 The Pole features the ErgoTec° Locking Cone for secure attachment of washer/combi/visaversa/squeegee/brush tools – just push the release button to remove the tools. Compatible with any tools featuring ACME thread fitting. Can be extended and fixed at any stage using twist locks. 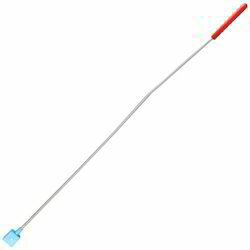 The Pill Glass Cleaner is pre measured and individually packaged. Mix one pill with 2-1/2 gallons of water. The pill dissolves quickly, helping you to use your time efficiently. 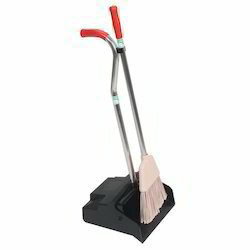 Easily lift and remove soil deposits and power through dirt and grime. Optional ACME thread insert available separately. 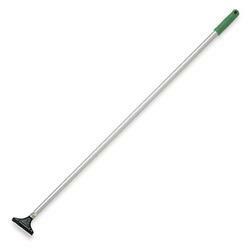 Perfect for lighter jobs, kitchens, decks, pools etc. 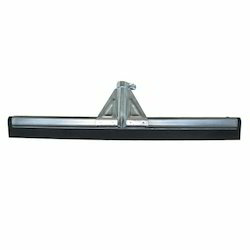 Sturdy steel frame with screw locking socket. Double-lip black foam rubber. Optional ACME thread insert available separately. 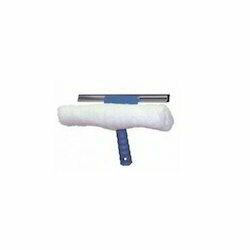 Reinforced handle socket version for heavy duty jobs. 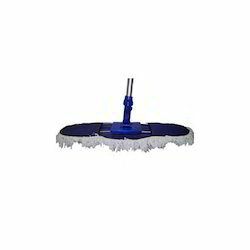 Removes water effortlessly from uneven floor surfaces such as grouted tile or non-slip floors. 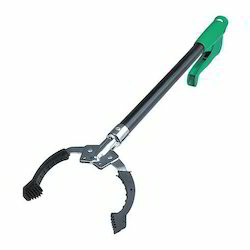 Sturdy steel frame with screw locking socket. Double-lip black foam rubber. 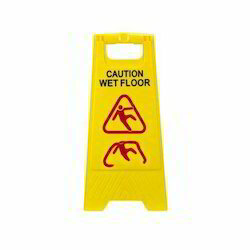 Industrial Floor Sign options and sizes. Take a look at our most popular Trash Can sign and try one today see why we are rated with the highest customer service and fastest shipping in our market of industrial safety. Call today to get more information. 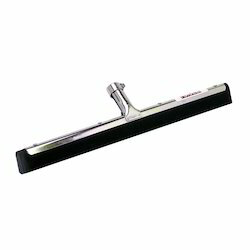 Looking for Manual Cleaning Tools ?